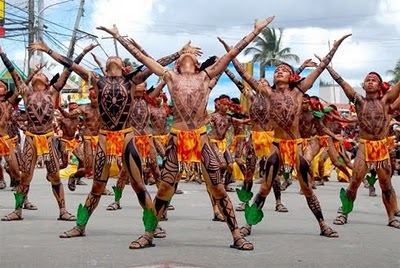 The Pintados Festival is a cultural-religious festivity celebrated annually on the 29th of June in Tacloban, Leyte. The festival is based on the traditions of the ancient tattooed “pintados” warriors and in honor of Sr. Sto. Niño. The Pintados Festival recalls the pre-Hispanic history of the native Leytenos and showcases the cultural heritage of the people of Leyte by incorporating native music and dances. The word “pintados” refers to the body tattoos of the native warriors which represented courage and beauty. When the Spaniards came to Visayas in 1668, they found heavily tattooed men and women whom they called Pintados. In the 17th century, the friars banned the use of tattoos branding the practice as savage and evil. In 1888, the missionaries from Spain brought the image of the Child Jesus that was known as El Capitan to the island. 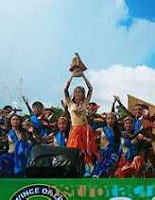 The Leyte natives were drawn to the story of the Child Jesus and became devotees and worshipers of El Capitan. In 1986, the businessmen and entrepreneurs of Tacloban, Leyte founded the Pintados Foundation Inc. They began organizing religious cultural activities for the city fiesta in honor of the Sto. Niño. Former Leyte governor Remedios Loreto-Petilla spearheaded the festival which was first celebrated on May 12, 1996. In 1999, the celebration was moved to June 29 in honor of the the Señor Santo Niño de Leyte. The highlight of the Pintados Festival is the parade of street dancers who are covered from head to toe in painted designs that represent the tattooed warriors of the past. The parade traditionally begins at the Balayuan Towers and proceeds throughout Tacloban, Leyte.